Their farm is roughly 40 minutes outside of Tulsa, and is the perfect distance to feel like a destination dinner. On arrival, guests are taken on a small walking tour of the farm(optional, but well worth it). Meet, and play with baby goats. Hear about the origin of the farm, and check out the all-organic crops. You’ll even get a peak at the mobile henhouse-in-a-schoolbus, affectionately referred to as the “Hennebago”. Next up, it’s dinner time. It’s bring your own wine/beer. As you’re seated, it’s natural to go ahead and pop open your bottle to get started, utilizing the appropriate, and provided glassware. The meal themes revolve around what’s in season; sometimes being harvested/foraged just a few minutes prior to the meal’s preparation. It really doesn’t get more fresh than that. 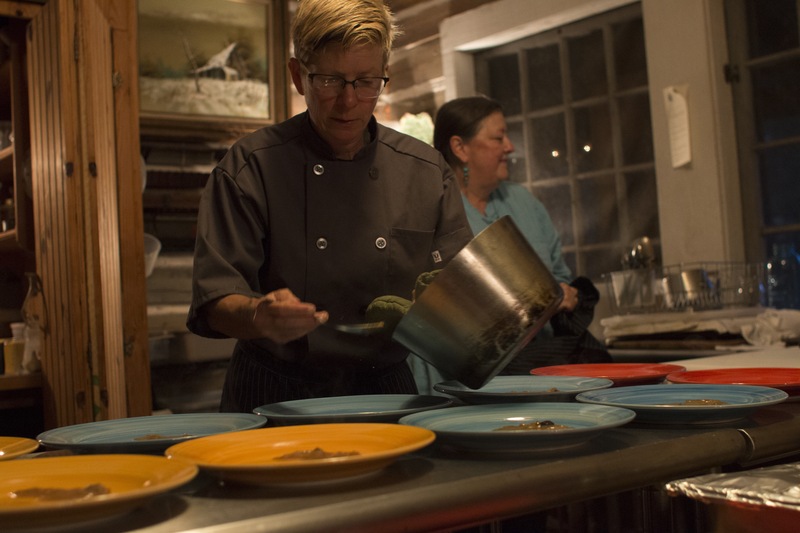 A few of the previous dinner themes have been, Sublime Strawberry, The Pig Roast, Red Dirt Dinner, Heirloom Tomato Dinner, Humble Pie and more. The meals consist of several, lovingly handcrafted courses. The creativity shines, and the food is delicious. With considerate notice, the will also accommodate most dietary restrictions or needs. The evening moves at a more European pace, than we expect in the overly speedy U.S. This makes for excellent conversation with friends, as well as delightful new acquaintances, with which you may be seated. Due to the high popularity, the dinner reservations are made early, and fill up very fast. Here’s the the Living Kitchen 2017 Schedule. Reservations can be made for the first round of dinners(April, May, June) on Saturday, March 4th, at 7:00am. Full details can be found Here.